Are you looking for a compact digital camera that exudes style and class yet doesn't compromise on performance? Then the ultra-slim PowerShot ELPH 510 HS is for you. Its fashionable, sleek design belies surprising sophistication in technology and shooting power packed inside. Tucked away is a powerful 12x Optical Zoom that gives you an extraordinary range of focal lengths for shooting near to far. 12.1 Megapixels deliver images with amazing detail, making possible large, crisp prints. What you shoot will look great thanks to the Canon HS SYSTEM, which helps ensure bright, clear images even in low light. The PowerShot ELPH 510 HS has an advanced 3.2-inch Touch Panel LCD, which adds a modern intuitive interface, making shooting and viewing stills and 1080p Full HD videos easier and more fun. 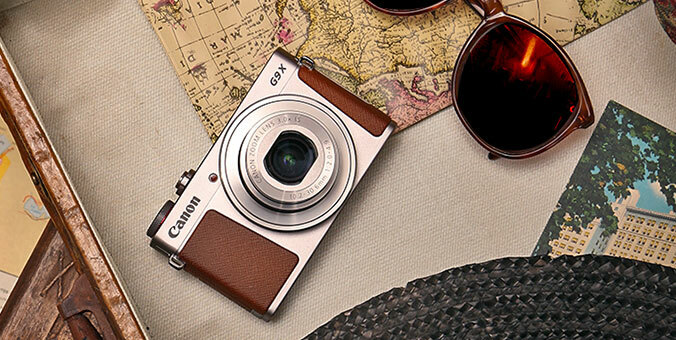 What's more, this amazing camera is available in three chic colors: Red, Black and Silver. At a slim 0.86 inches, the PowerShot ELPH 510 HS is the world's thinnest camera with a 28mm Wide-Angle lens, 12x Optical Zoom, and Optical Image Stabilizer. * Its stylish form is enhanced by its lustrous finish, which gives you a choice of three refined colors: Red, Black and Silver. But real beauty goes beyond skin deep with the PowerShot ELPH 510 HS. Amazingly, Canon did not sacrifice performance for style. The PowerShot ELPH 510 HS features a powerful Genuine Canon 12x Zoom Lens that delivers outstanding optical performance and versatility. Fitting such a high-performance lens with such wide zoom range into a camera so thin would normally be considered an impossible feat. Canon's expert optical engineering met the challenge by developing a light-folding retractable-prism lens barrel, which achieves outstanding compactness with high zoom power and superb performance. The zoom starts at 28mm wide-angle and extends to 336mm telephoto (35mm equivalent), covering an exceptionally wide range. The telephoto reach gives you the freedom to capture subjects from a considerable distance, while the 28mm wide-angle makes it easy to shoot sweeping landscapes, large groups of people and tall buildings. The Canon HS SYSTEM lets you take bright, clear photos in an even wider range of shooting situations. Beautiful low-light shots are possible with minimal noise and maximum detail in highlight and shadow areas. The system is the result of two technologies brought together in PowerShot cameras: a high-sensitivity imaging sensor, which is able to capture more light; and the DIGIC Image Processor, which actively reduces noise with high-speed image processing. The 12.1 Megapixel CMOS sensor in the PowerShot ELPH 510 HS incorporates advanced light reception technology that enhances sensitivity. The DIGIC 4 Image Processor provides a major boost in noise reduction, expanding the usable ISO range to an amazing high of 3200. The Canon HS SYSTEM takes the frustration out of low-light shooting, delivering clear, blur-free images. In addition to the Canon HS SYSTEM, the combination of the advanced CMOS sensor and DIGIC 4 Image Processor in the PowerShot ELPH 510 HS makes it possible to shoot crisp, clear high definition video. Imagine the fun and excitement of being able to shoot spectacular 1080p Full HD video with stereo sound that you can later watch on your HDTV or download to your computer to share with family and friends. In addition to being able to shoot Full HD 1080p video at 24* frames per second, the PowerShot ELPH 510 HS can also shoot 720p HD video at 30** frames per second.